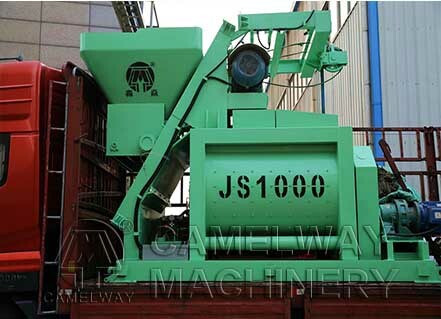 HZS60 concrete batching plant is a kind of simple type of concrete mixing station, which is consisted of a JS1000 concrete mixer and a PLD1600 concrete batching machine. HZS60 batch plant has these features: modularized structure, convenient installation and disassembly, innovative layout, high degree of automation, easy maintenance etc. This equipment is consisted of mixing system, sandstone ingredients system, water supply system and admixture, cement conveying system, electrical and pneumatic control system and other parts. All concrete mixing process implements the automatic control and manual, semi-automatic, and mixing counting control function.